In order to have a responsible clothing industry we need to change the way we produce, wear and consume clothes, says Water at risk speaker and sustainable fashion specialist Anniina Nurmi. Water plays a big role in the clothing industry from both the consumer’s and the manufacturer’s point of view. 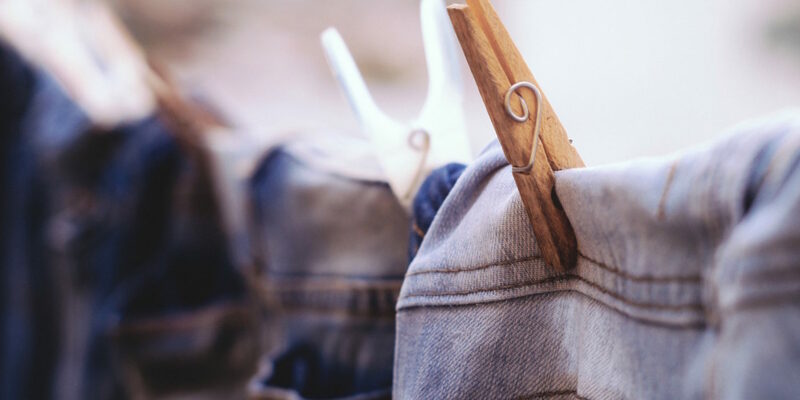 Many clothing companies are putting effort into individual things that make the production chain somewhat more ethical: reducing their carbon footprint, improving working conditions and recycling materials. According to sustainable fashion specialist Anniina Nurmi all this is good and necessary, but there’s a much bigger issue to be tackled. “As long as the clothing industry’s main goal is to make money by producing a ton of clothes quickly and inexpensively no one’s really willing to change the system itself. Sure, it’s important to recycle and try to be more ethical, but that’s more like putting small band-aids on a big wound than actually fixing the problem”, she says. Although the big problem in the clothing industry isn’t water per se, it plays an important role. Both fabric production and daily use of clothes require a lot of water. This needn’t be the case. Fed up with how the current clothing industry and its business model works Nurmi develops a concept called “clothing as a service”: Instead of paying for the piece of clothing itself people should pay for its use. The aim here is to change the industry’s revenue logic and thus create the basis for a larger systemic change. A consumer can’t change the way the clothing industry operates. What they can change, however, is the way they consume and handle their clothes. For instance there’s a lot of water involved in the use and wear of clothing as well, not just in their production. Washing a load of clothes in a machine can consume up to over a hundred liters of water. “We wash clothes way too much and a lot of water goes to waste. You can put half worn clothes into the freezer or just air them out instead of washing them time after time”, Nurmi explains. There’s an environmental aspect to washing clothes as well, especially when it comes to synthetic fibers such as nylon or polyester. The latter is one of the most used fabrics in the industry. “Polyester fabrics release microplastics into the water system after each wash. I don’t think people even realize yet how big of a problem this is for our environment and those inhabiting it”, Nurmi says. The whole fabric production process could be done with significantly less water, says Anniina Nurmi. For example there are already techniques for dyeing fabrics that don’t utilise any water. One of the forerunners of this practice is DyeCoo who introduced a technology that replaces water with recycled carbon dioxide back in 2012. For example Nike has utilised this technology in their gear. But let’s expand briefly from the use of water in clothes and textile production into a more sustainable clothing industry in general. “Becoming more transparent, environmentally friendly and sustainable is not impossible. But if you don’t have the will to do it, it will never happen”, Nurmi says. In order to become wholly sustainable the clothing industry would have to rethink its very core and change its most basic ways of operating. Something the industry could benefit from is what Anniina Nurmi refers to as a sustainability footprint. Carbon footprint has been a hot topic in most industries recently and there’s an increasing interest in water footprints as well. However, when it comes to the clothing industry these probably wouldn’t suffice. "There are so many problems with the clothing industry that it would be better to track a comprehensive sustainability footprint that covers ecological and ethical aspects during the whole life cycle instead of a carbon footprint or a water footprint", she says.